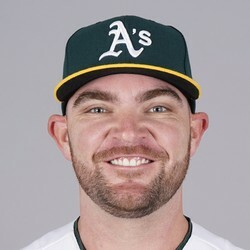 Liam Hendriks allowed no runs, no hits, no walks through 1 inning against the Angels. He also recorded a strikeout in the inning. Hendriks once again started the game for the A's and pitched a lone inning. There's always a small shot for him to get a winning decision but its more than unlikely. He now has a 5.30 ERA and 1.61 WHIP this season.